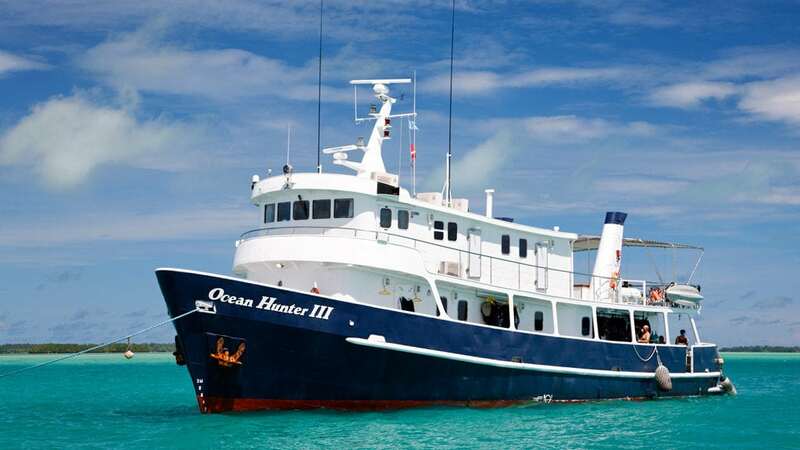 Ocean Hunter 3 is the latest and most luxurious addition to the Ocean Hunter Liveaboard Fleet in Palau. 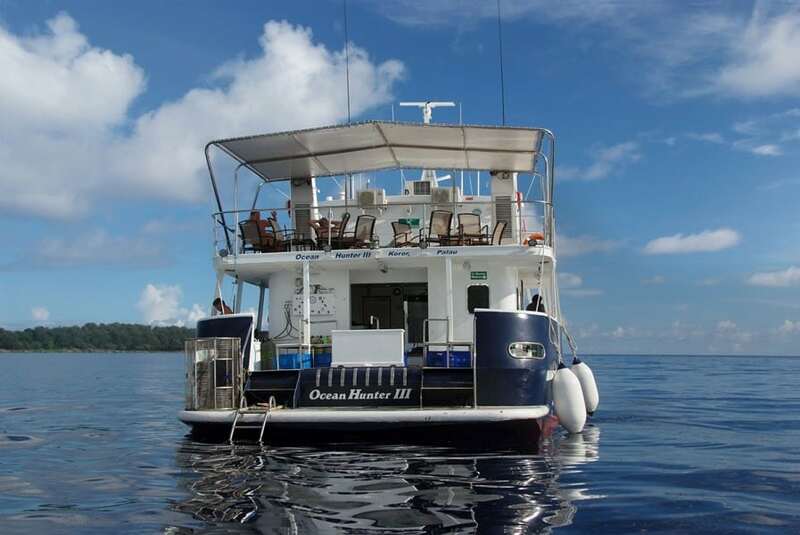 Ocean Hunter liveaboards are owned and run by Tova and Navot Bornovski, pioneers of Palau’s scuba diving, the couple also run the Fish’n Fins dive centre in Palau. 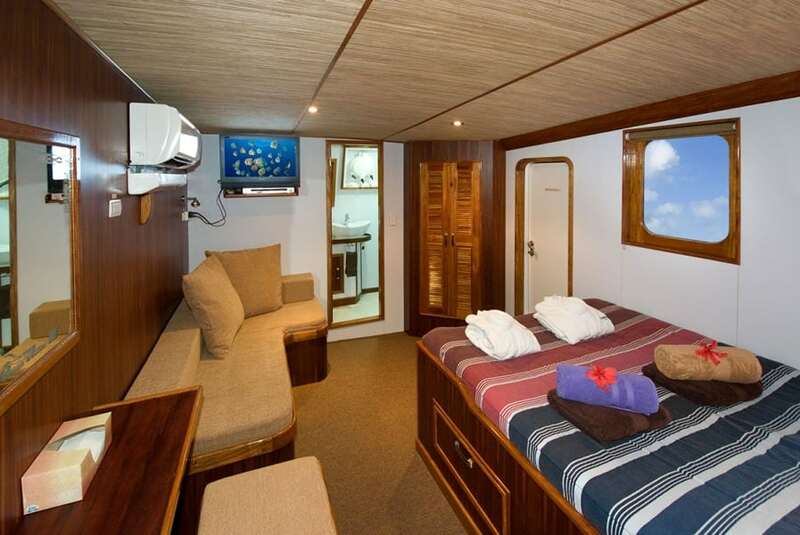 The Ocean Hunter 3 has a large main deck with saloon, galley and big dive deck. 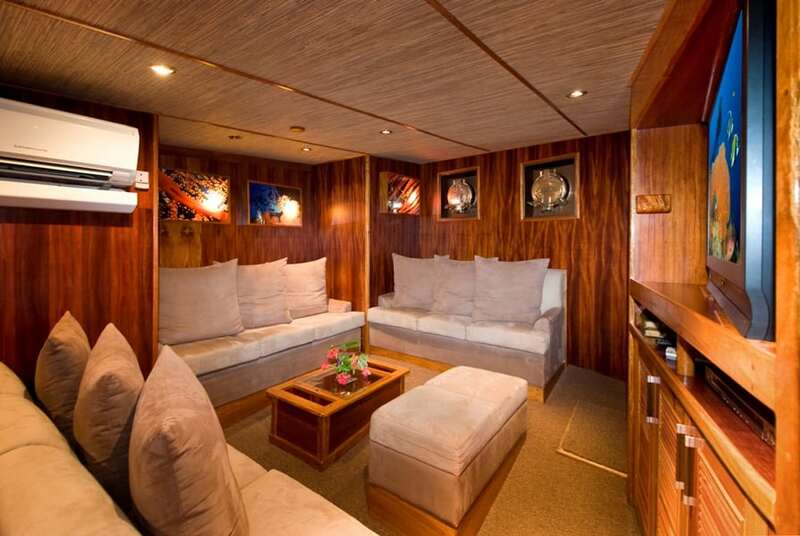 There is a large dining room and a comfortable lounge with sofas and an entertainment system.The spacious sundeck leaves plenty of space to relax and also features 2 Jacuzzis. 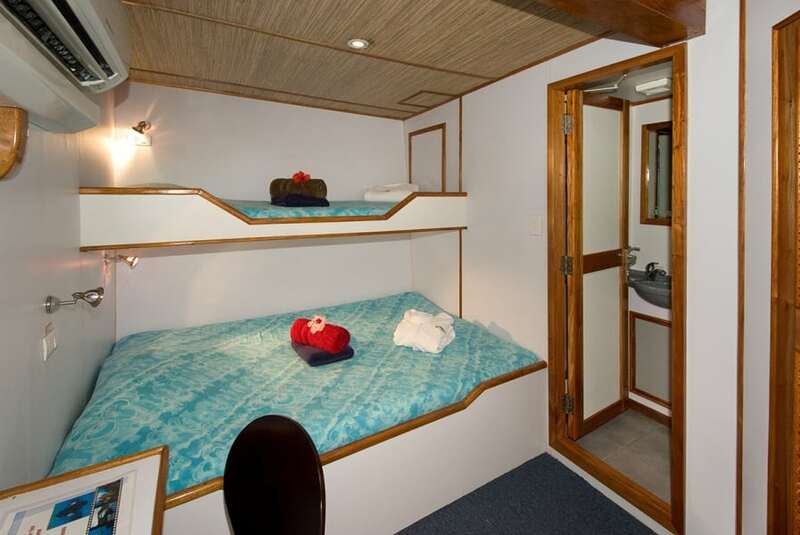 The vessel accommodates up to 16 guests, and all guest cabins, located above and below the main deck,have private bathroom and air-conditioning. 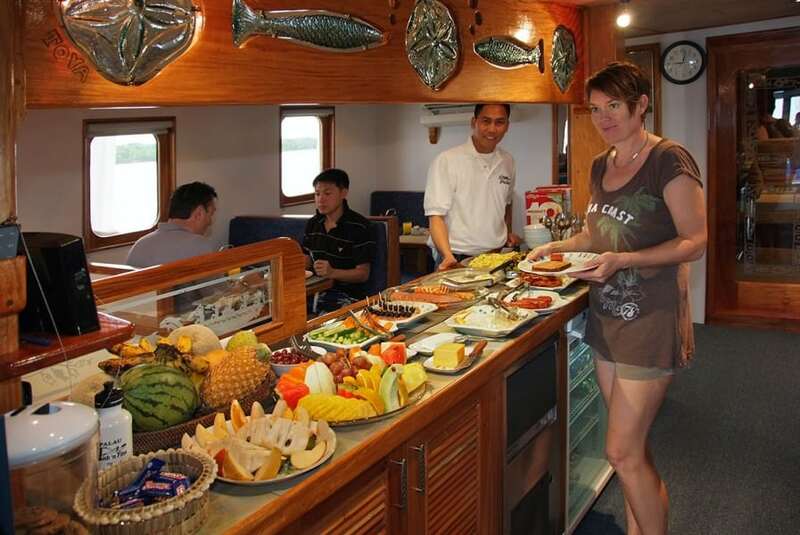 The delicious gourmet menu served on Ocean Hunter vessels has been designed by the owners, specifically with divers in mind. The menu incorporates international cuisines such as Palauan, Italian, Mediterranean, French and Japanese and plenty more. 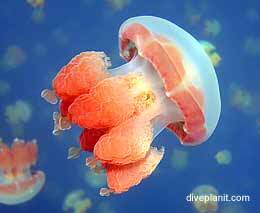 The beauty of liveaboard diving around Palau is that distances between dive sites are very short compared to some other destinations. This allows the itinerary to be very flexible as the only restrictions are tidal patterns, moon cycles and the general weather conditions. Ocean Hunter offers 7 day and extended 10 day cruises. The Ocean Hunter 3 crew use their knowledge and experience to bring you to the right dive site at the right moment. Diving off Ocean Hunter means you get personal attention, reefs without a crowd, easy entry into the water and a maximum bottom time! After giving you a briefing at least one dive master will enter the water with you on every dive to guide, guard and assist. 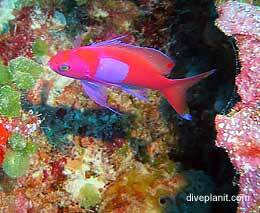 Night dives are offered every night, and Nitrox is available. All levels of divers, from experienced to beginner, are welcome. 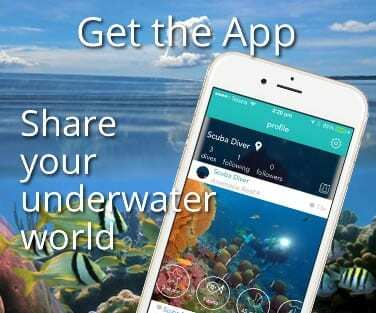 Experienced instructors and dive masters will give you all the assistance and guidance you need. 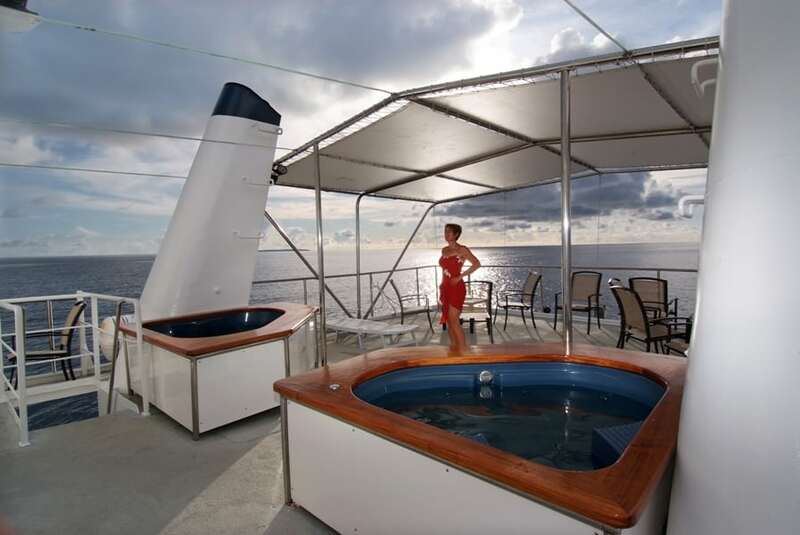 When your dive is over, you can climb back on-board and take a warm, freshwater shower right on the spacious dive deck before enjoying a cake or a fresh fruit smoothie. The dive tender is a purpose-built 10.5m (35ft) rigid hull boat designed specifically for divers, with ample room and dry storage areas. 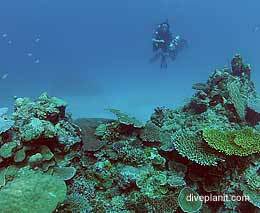 Ocean Hunter 3’s itinerary includes the world-famous spots of Palau such as Blue Corner, Big Drop Off and Ulong Channel. 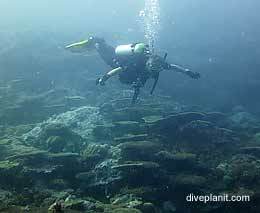 There is also the opportunity to snorkel in jellyfish lake explore several WWII wrecks. 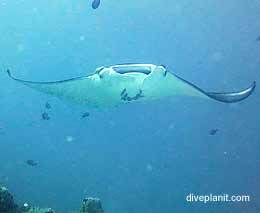 Ocean Hunter III is the best option for divers who wish to maximize their dive time in Palau. 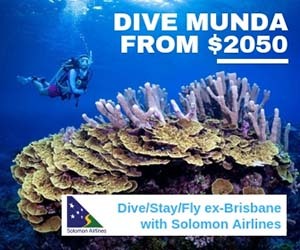 Due to their midday departures, they offer 6 full days of diving. 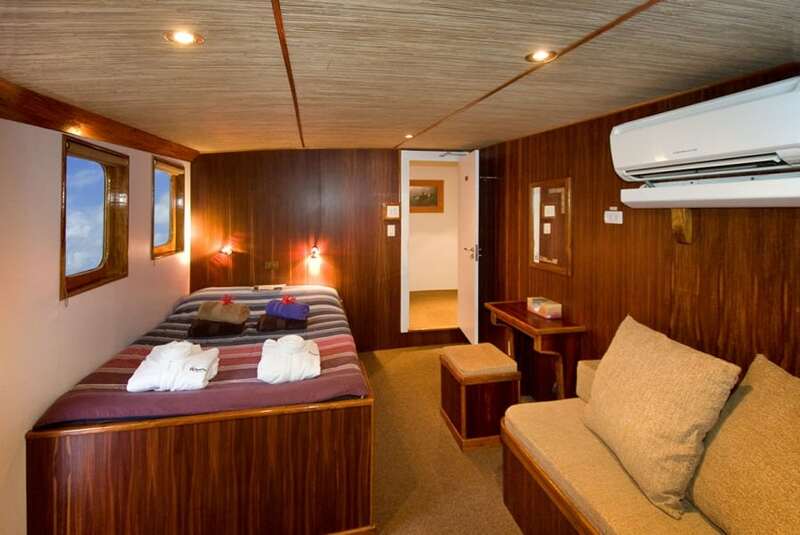 Cabins are spacious and service and amenities are on-par with the best luxury dive cruises in the South-East Asia/Pacific region. 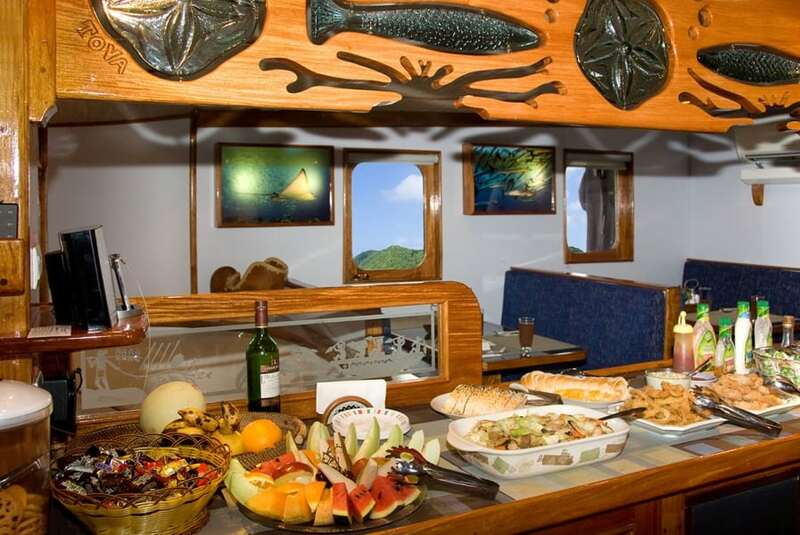 Included: accommodation in a double/twin cabin, all meals, snacks, fruits, coffee, tea, water, dive guide, tanks & weights, return airport transfers on charter days. On diving days up to 5 dives daily.